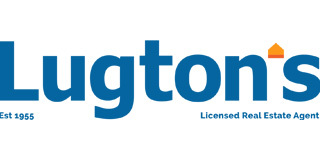 Dave and Anna Smart are part of a residential property sales team from Lugtons Real Estate in Hamilton. From the start, Dave and Anna wanted to use video to showcase their properties. "Video was done by some agents, but it wasn't being done consistently. We made a pact quite early on to do video consistently." "It was really important to get a professional in, so when we came across Jody from Ninmo Productions and got him in to shoot our first house, it was very clear and very obvious from the beginning that it was the right way to showcase our properties." Take a look at the video below to see how video has helped Anna and Dave with their property marketing over the past few years." "We continue to use Jody exclusively for video work for our real estate marketing. He is creative, reliable, consistent and great to work with. Recommended." "Jody is fantastic. He has really gone the extra mile to make our real estate videos into something that stand out in a crowded market place!"